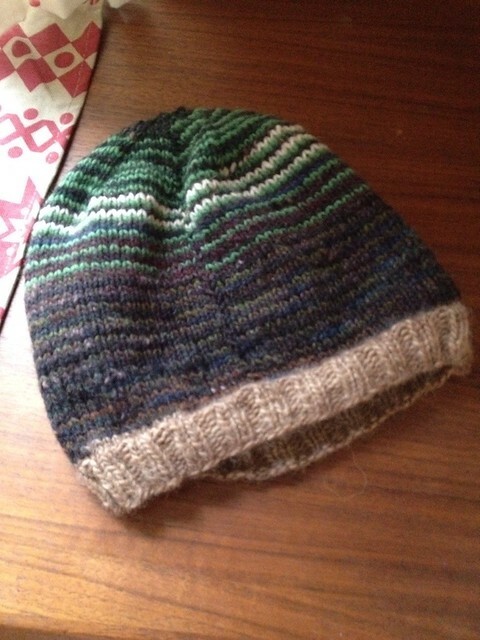 Notes: These hats are so much fun to knit. Plus I can use even the smallest length of yarn. I gave this one to talkingcrow who sent me this photo.